I’m sick and tired of hearing people complaining about Christmas. I have worked in retail for the holidays since high school, so I realize that it comes earlier every year. Every year, customers complain that it keeps getting earlier and earlier. Well guess what, if you’re complaining about how Christmas is overshadowing Thanksgiving, gripe to someone who cares. I love Thanksgiving, but please remember that shortly after that lovely dinner, we exterminated the Native Americans and sent those left to reservations. I could go on and on about how our culture has perverted the birth of Christ into a materialistic haven, but we’ve all heard it before. The nature of Christmas is not going to change anytime soon, so embrace it. I love walking through the mall with its beautiful decorations, sipping piping hot coffee or hot chocolate. I love the cheery mugs at Starbucks. I love the cheesy Christmas stockings for my dog. Radford's fountain decorated for the holidays. Photo by Brian Hollingsworth. But the best part of the holiday season isn’t material at all. It’s the giddy feeling you get when you realize Christmas is right around the corner. It’s sincerely magical. Your friends and family become the most important thing, even if you forgot for a short time. You’re reminded of what’s important and what’s not. With a bad economy and difficult times, the holidays should be a time to feel lucky and loved, not stressed out about what you can’t buy. Actually, with wallets being significantly thinner than before, I think it makes the time more special. Instead of wasting money on a lot of gifts, it makes you really consider what you’re buying to make it special. This time of year is known as the “season of giving.” Even though, admittedly, it has warped into a season of receiving, I hope we can all realize giving makes you feel so much better than receiving. I’ll give you an example. Last winter I was driving through Fairlawn and passed the Wal-Mart parking lot. I noticed not one, but two people sitting with signs claiming homelessness and hunger. The sad part was that these people were not together and one had a German Shepherd. While I’ve always been told not to give the homeless money, I went home and did the best thing I could think of: I made them peanut butter and jelly sandwiches. This was before I had my dog Hank so I didn’t have any dog food to spare. Instead, I “borrowed” some dog treats from my roommate. I rushed back to the parking lot and delivered the goods. The looks of graciousness and relief on their faces was good enough for me. The guy working at the car wash actually came over and shook my hand for my good deed! I’m sharing this story not for praise, but to show how vivid the memory still is for me. It’s much more vivid than a memory of any present I received (well, maybe except my autographed Taylor Swift photo). This season can bring out the very best in people and that’s what I love most. I even love my job more during the holidays. It’s stressful and busy, but I enjoy the chance to brighten someone’s day just because the season has brightened mine! In my opinion, Christmas can come any time of year it wants. It’s getting to that time of year where, once again, the airwaves will be clogged with holiday films. Using the Rotten Tomatoes movies list, we are going to count down the top 10 best holiday movies. This movie was released in 1994, and has a rating of 79% on Rotten Tomatoes. 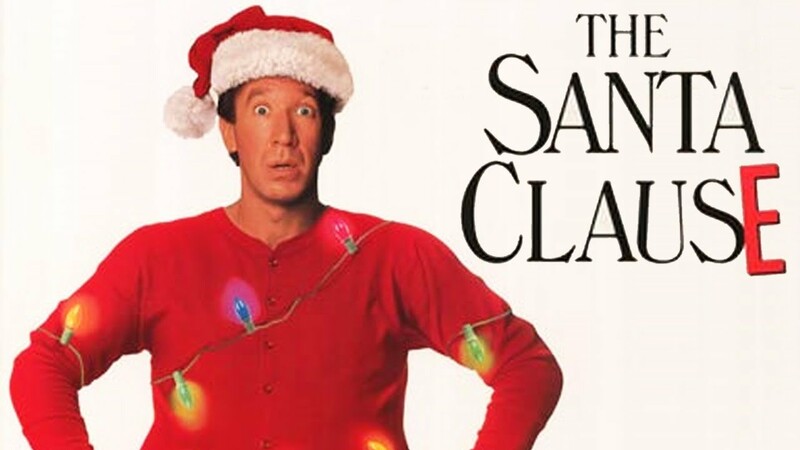 It stars Tim Allen who, through a series of events, kills Santa and is forced to take Santa’s place on Christmas Eve. The movie is a comedy that received decent critical reviews. "The Santa Clause." Photo from Creative Commons. Released in 2003 with a Rotten Tomatoes rating of 79%, this comedy stars Will Ferrell as a human that had been rescued by Santa. Leaving Santa’s workshop, he sets out to find his biological father in New York City. "Elf." Photo from Creative Commons. Released in 1995 and given an 85% by Rotten Tomatoes, this romantic comedy stars Sandra Bullock as Lucy Moderatz, a woman who saves a man from being killed. Posing as his fiancée, she visits the man she rescued, who is now in a coma, waiting to see what will happen to him. "While You Were Sleeping." Photo from Creative Commons. Set in the 1940s, this film follows a young boy as he attempts to convince everyone around him, most importantly Santa Claus, that he deserves his dream present, a Red Ryder BB gun. Released in 1984, this movie has a Rotten Tomatoes rating of 88%. "A Christmas Story." Photo from Creative Commons. This 1983 film was given an 89% by Rotten Tomatoes. Actors Eddie Murphy and Dan Aykroyd star in an asocial satirical piece about a snobbish investor and a wily con artist whose positions become reversed through the cold-hearted betting of millionaires. "Trading Places." Photo from Creative Commons. This holiday classic released in 1946 is about an angel that helps a desperate businessman, George Bailey, realize the value of life by showing him an alternative world where he never existed. Rotten Tomatoes gave the film a 92%. "It's A Wonderful Life." Photo from Creative Commons. Bruce Willis plays John McClane, a New York City cop taking on terrorists on Christmas Eve, in this 1988 classic action holiday film that Rotten Tomatoes gave a golden 94% rating. "Die Hard." Photo from Creative Commons. Imaginative yet bizarre, this 1993 holiday claymation movie made by Tim Burton follows Jack Skellington, the Pumpkin King, as he tries to bring Christmas to Halloween Town. It’s no surprise that Rotten Tomatoes gave this gem a 97%. "The Nightmare Before Christmas." Photo from Creative Commons. This movie follows the tale of an old man claiming to be Santa. Did we mention he happens to be institutionalized? A young lawyer decides to defend him, arguing that he is the real deal. Rotten Tomatoes gave this 1947 classic a 97%. "Miracle on 34th Street." Photo from Creative Commons. Picture an inn that is only open on the holidays. Add two men vying for the affection of a young, up and coming performer and you’ve got this 1942 classic that Rotten Tomatoes handed a prized 100%. "Holiday Inn." Photo from Creative Commons. Here’s to hoping this list provided you with some great films for this holiday season!